TCLF’s Landslide® program, established in 2003, focuses attention on threatened and at-risk landscapes and landscape features and includes an annual thematic compendium. 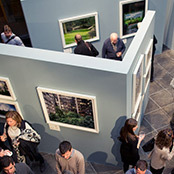 Landslide includes hundreds of parks, gardens, horticultural features, and working landscapes – collectively, places that embody our shared landscape heritage. From monitoring threats to chronicling ongoing care and management, Landslide draws attention to these places and rallies support at the local, state, and national levels; with the Web site providing critical links to advocates working to safeguard each site. 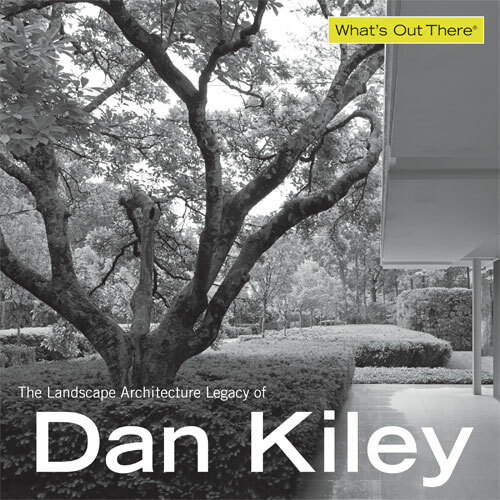 This year’s theme focuses on Dan Kiley’s significant, influential and ephemeral legacy (previous years’ themes include: Marvels of Modernism, Heroes of Horticulture, Landscape and Patronage, and Every Tree Tells a Story). By focusing on Kiley, we also call attention to the ephemerality of Modernist landscape architecture writ large. For each of the publicly held sites we provide a link to the site owner’s Web site. We also have two graphic scales - the first looks at current condition, including degrees of threat. Kiley’s landscapes are very precise and often require a high level of maintenance. The loss of one or a few trees can significantly alter the design, as can broken paving and furnishings. For example, the Miller Garden in Columbus, IN receives the highest possible rating, while Banneker Park in Washington, DC receives the lowest because of proposed development that would largely eliminate Kiley’s design. The second graphic measures the level of visibility Kiley is given by the stewards of each of the publicly held sites. The Miller House and Garden rates highest because it provides significant discussion of Kiley’s life and legacy. The Milwaukee Art Museum gets a lower rating because it’s less generous. Their Web site has stand alone biographies for the architects Eero Saarinen and Santiago Calatrava, while just a few lines about Kiley are included in the entry about the landscape he designed. Moreover, the Milwaukee entry about Saarinen lists the Gateway Arch at the Jefferson National Expansion Memorial as one of his career highlights, but doesn’t mention that the project was done with Kiley. Some sites, such as L'Esplanade du Général de Gaulle, which produced a detailed walking guide to the site noting the artists, architects and other participants involved, completely omit any mention of Kiley. We also indicate whether each site is designated – for example, listed on the National Register of Historic Places, designated a National Historic Landmark, etc. – and whether that designation's area of significance includes the Kiley landscape or is limited solely to the architecture. We also provide information about what you can do to help a threatened Landslide site. Landslide has proven very effective in raising the visibility of at-risk landscapes and has helped galvanize support for them. In 2013 alone, four former Landslide sites were listed in the National Register of Historic Places, and others are pending. We invite you to explore the Landslide Web site and to learn more about the program and the many extraordinary sites listed. The Landscape Architecture Legacy of Dan Kiley will be on view at venues across the country. © 2013 The Cultural Landscape Foundation, all rights reserved. The marks "The Cultural Landscape Foundation", “Landslide", "Pioneers of American Landscape Design", and "What's Out There" are registered trademarks of The Cultural Landscape Foundation®.